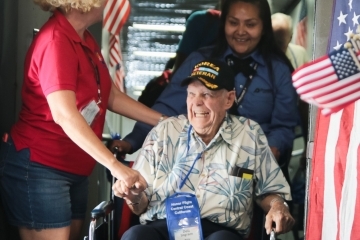 We encourage all veterans to submit an application. Applications are prioritized based on when the veteran served and when we receive the application. If you are contacted to go on a flight and for whatever reason you can’t go at that time you can defer. We will then contact you when we are organizing our next flight. There is no cost to the veteran to apply or go on their Tour of Honor. 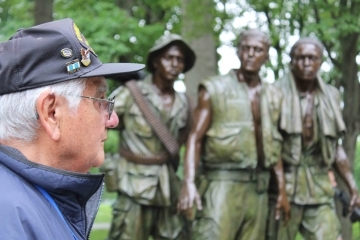 Veterans with terminal illnesses get priority. 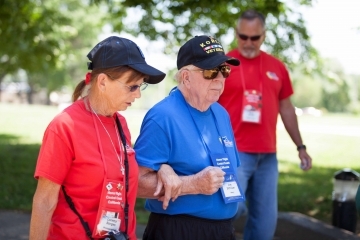 For more information see our Veterans Frequently Asked Questions. There are two ways to submit an application, online and by mail. If you want to be a guardian either for a family member or as a volunteer guardian please submit a Guardian Application. NOTE: If you are applying as a guardian and you are a veteran as well, you can submit one application by checking both roles at the top of the application. Print the application and fill it out. HFCCC will keep your application file until you go on a trip. 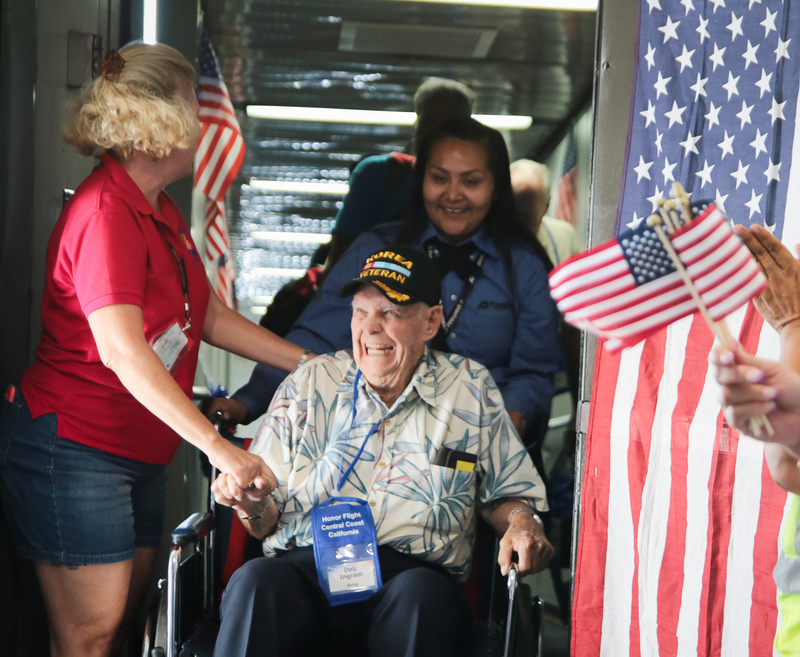 If you want us to delete your application from our system before you go on a trip please contact us at flightinformation@honorflightccc.org. Once you go on a trip, HFCCC will delete your application from our system within 30 days after you return.